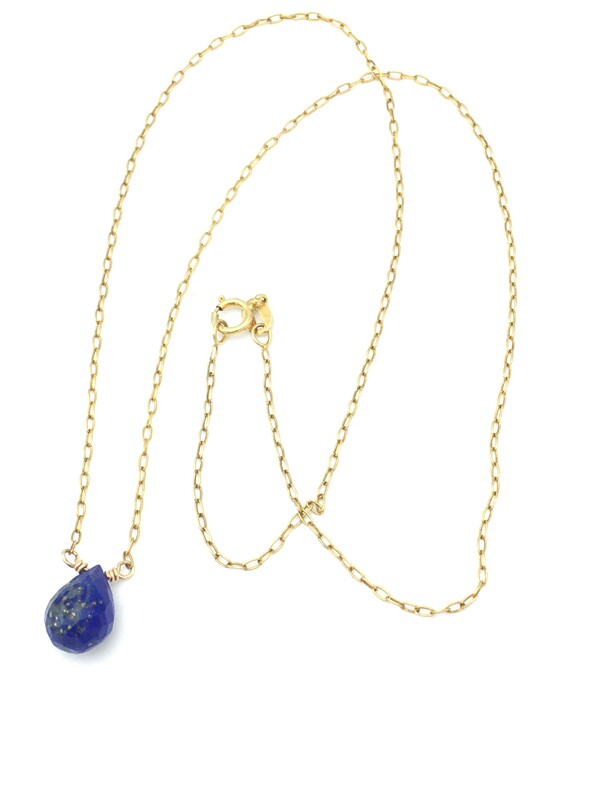 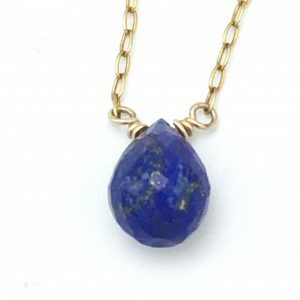 Lapis Briolette Necklace, with natural Lapis Lazuli, briolette cut, on gold chain. 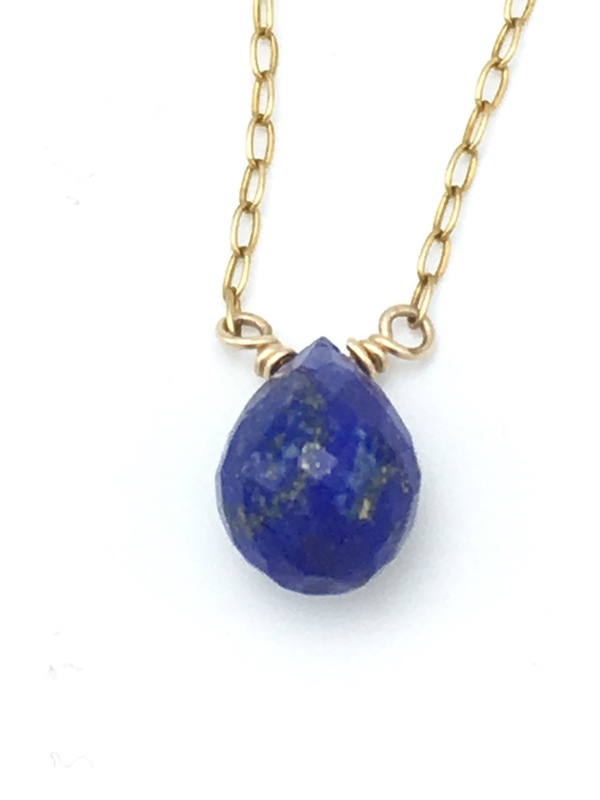 Lapis gemstone measures .5″ inches long, approximately. Be the first to review “Lapis Briolette Necklace” Click here to cancel reply.